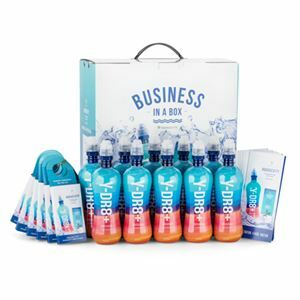 Aquagevity Business in a Box is the best way for you to grow your Y-DR8+ business. 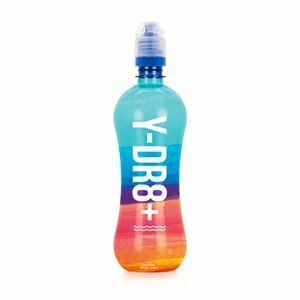 This business building system contains the tools you need to share Y-DR8+ and Aquagevity Energy with 10 individuals. It includes: 10 Y-DR8+ bottles, 10 caps with filters, 10 hangtags with 2 Energy tablets per tag, and 10 Aquagevity brochures. 1. Grab a bottle, bottle cap and filter from your Aquagevity Business in a Box. 2. Fill out the contact information on the back of the hangtag, or attach your business card to the hangtag. 3. Assemble your bottle. Attach the filter to the cap, and then fasten the bottle cap and hangtag to the bottle. 4. Pass out your assembled bottle with an Aquagevity™ Hydration System brochure.